It’s Springtime … well that’s what I’m thinking. 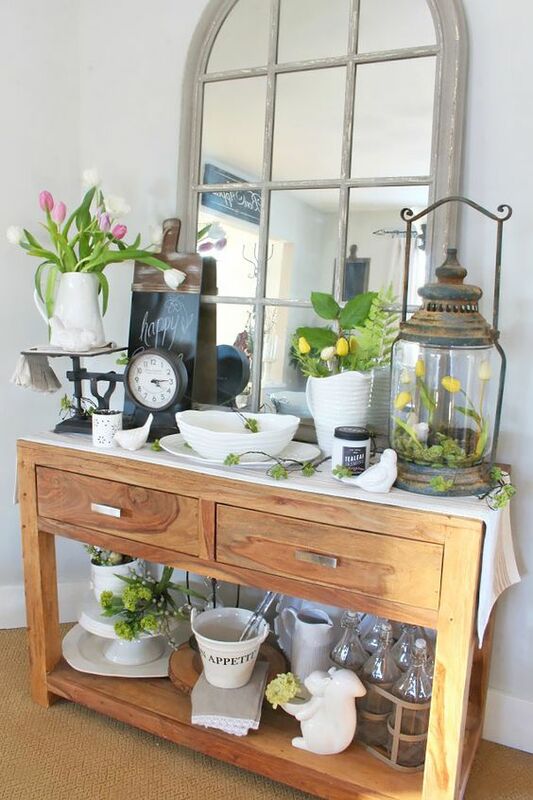 Incorporating seasonal fresh or faux flowers to your decor a perfect way of adding color and aah relaxation to a room, entryway, sofa table, coffee table, night stand, kitchen counter….Using ceramic birds, rabbits, or other “woodland” animals, birds nests and eggs also add to the Spring decor. The use of glassware such as white, color, clear for example, as well as a printed, solid color, burlap (a few suggestions) table runner secures the overall look and theme. March 14, 2017 in Home Decor.